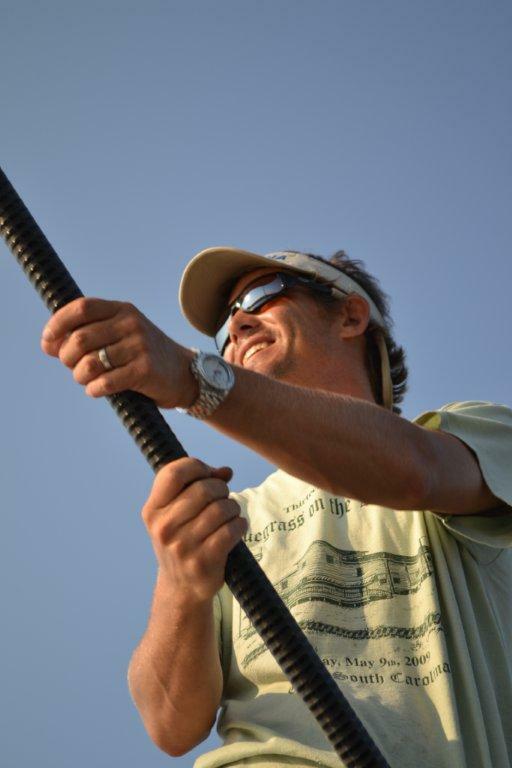 Born and raised in SC, Michael grew up fishing around the North Inlet and Debordieu creeks with his family, which instilled his love for the saltwater marshes. After graduating highschool and several years in Colorado for college, he moved to Charleston finish school in 1998. 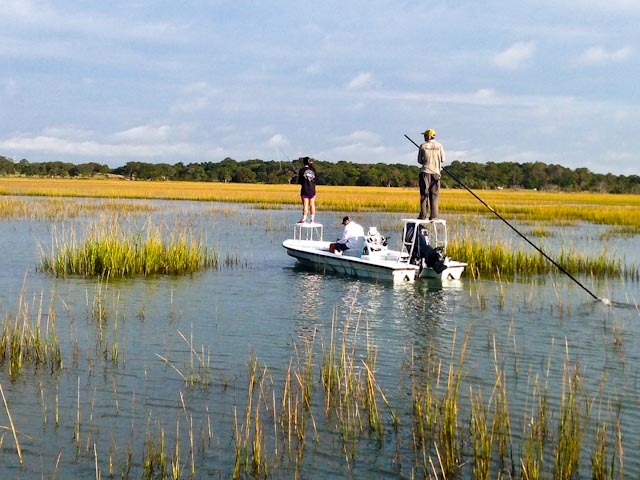 Since then Charleston has become his home, and his exploration for Charleston redfish in the surrounding marshes began. Michael's boat is a Hell's Bay Guide flats skiff that allows him to get in six inches of water while still allowing him to access bigger water! When not on the water you might find Michael picking banjo for his local bluegrass band Flatt City or at the local flyshop he co-founded, The Lowcountry Fly Shop. 2011 - Captain of Winning Team for the BTT Lowcountry Tarpon Tournament. 2013 - Guide to Runner up in the Fly Division of The Lowcountry Red Trout Celebrity Tournament. 2015 - Guide to Team Fly Division Champions of The Lowcountry Red Trout Celebrity Tournament. Rates include up to 3 people on the boat, 2 Maximum people recommended for fly fishing since we will be fishing one person at a time. All rods ( fly and spinning), tackle, and a full cooler of ice and water are provided. A South Carolina fishing license is also included. You are welcome to bring additional drinks, snacks or a lunch. It is recommended that you bring sunscreen and a hat.